Vacuuming can be a pain- it's noisy, inconvenient, and costly when you find yourself back at the store every few years for a new vacuum. 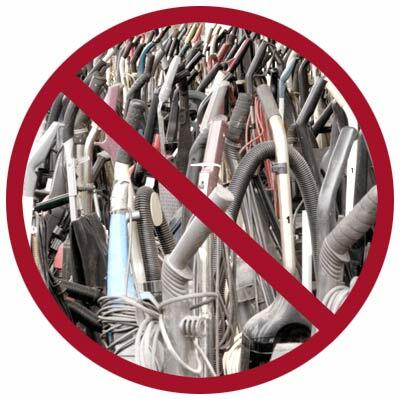 Portable vacuums are usually heavy, smelly, and often leave you wondering how clean your carpet really is. Installing a central vacuum is the answer to all these complaints, so why haven't more people installed one? Many homeowners aren't even aware central vacuums are an option, and there are many misconceptions about how they work. Big name vacuum manufacturers make more money selling portable vacuum cleaners at more regular intervals than selling their central vacuum systems, so they do not heavily market central vacuums. One of the most common misconceptions surrounding central vacuums is that installing a system in an existing home requires a major renovation and tearing down walls. 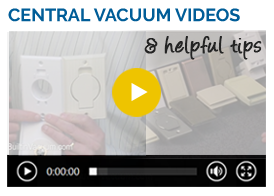 This is simply not true- the only hole required is covered with an inlet backing plate, and the pipes are usually fed through an attic, basement, or crawlspace. 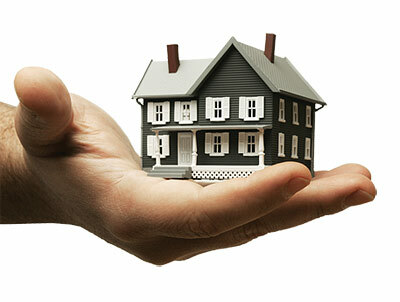 Keep reading for seven more reasons to consider installing a central vacuum in your home. We can all agree that very few love to do household chores. 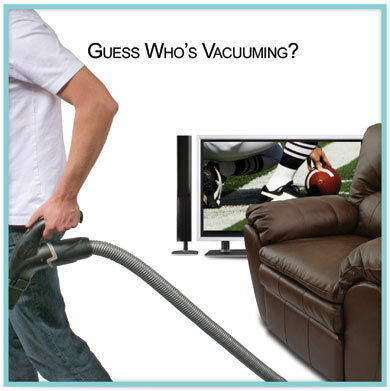 However, central vacuums make cleaning as painless as possible (some may even call it fun!). 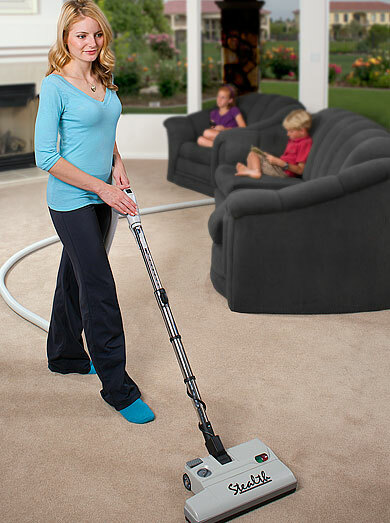 With a central vac system, you can say goodbye to hauling around a heavy canister or upright vacuum. Those tough to reach spots that sit there and collect dust? Central vacuums have a wide range of accessories that allow you to clean places no vacuum has ever been able to get to before. Clean every nook and cranny in your home, even those cob-webby ceiling corners and the dusty corner behind the refrigerator, with a central vacuum. There isn't any other vacuuming system that will let you clean as efficiently and effectively as a central vacuum system. Central vacuum owners often remark how much cleaner the air is inside their homes, and allergy sufferers typically notice a reduction in their allergies. UC Davis actually did a study on this phenomenon, and proved that central vacuums do in fact keep the air cleaner than portable vacuums. 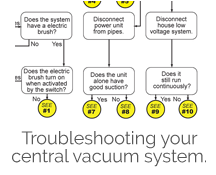 The reason is simple: central vacuum systems extract the dirt, dust, and debris out of the house and into the main power unit in the garage or the basement where they are then exhausted outside. 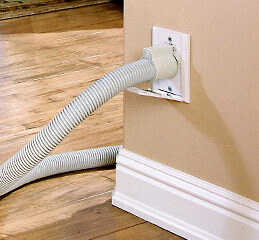 Portable vacuums recycle vacuumed allergens back into the air through the exhaust. 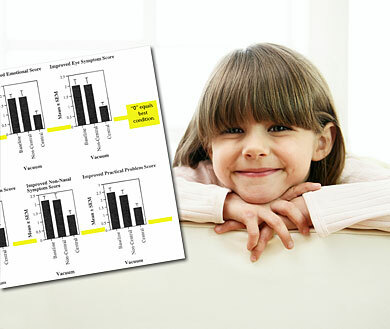 Read the UC Davis Central Vacuum Clinical Study (PDF). Central vacuums have the ability to reach different places and types of surfaces than the typical portable vacuum thanks to the extensive selection of accessories available for central vacs. Long hoses and a number of tools makes easy work of cleaning vehicles, boats, and RVs. It even makes cleaning your garage easier than ever. It doesn't stir up dust like a broom, and is a lot less troublesome than trying to use a portable vacuum outside. Men also prefer central vacs to portable vacuums and are 80% more likely to vacuum with a central vacuum, because "It feels more like a power tool than a household appliance." 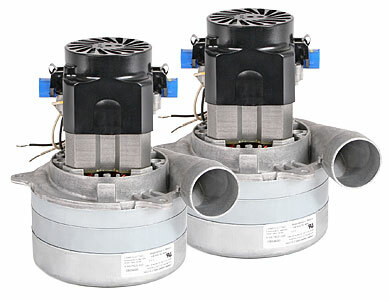 Central vacuum motors can be up to three times stronger than the motors in portable vacuums, and because they are stored in a stationary location in the garage or basement, they stay much cooler. Since the motor stays much cooler, it is able to last much longer than portable vacuums, allowing it to do its job- provide strong suction through the network of pipes and through the hose. This allows central vacuums to not only remove the surface dust and debris, but also the deep grit and particulates that age carpet.